This guest blog entry is by Articulate Community Manager David Anderson. The example might be a couple years old, but Prometheus’s Ergonomics course remains one of the most creative uses for the Articulate Engage Labeled Graphic interaction. In a previous post, Helene Geiger of Prometheus shared her source files and described her process for creating the mini-assessment in Engage. The challenge for a lot of users is they don’t have Photoshop, which means they can’t work with the source files. 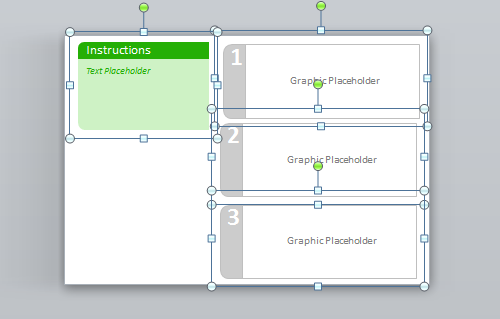 But they had a workaround: import the flattened LabeledGraphicTemplate.png into PowerPoint and use it as a guide for creating the background images. After creating their own graphics, they used PowerPoint’s Save as Picture to save the image. Now that’s a cool idea! After talking to a number of users, I learned the solution worked, but that there were occasional challenges with aligning objects and images extending beyond the Labeled Graphic dimensions. And that makes sense, right? Using Save as Picture saves all grouped or selected objects as an image. There’s no way to input specific image dimensions. What would help is a PowerPoint slide set to the same dimensions as Engage’s Labeled Graphic. And that’s we did! The first thing I did was create a custom PowerPoint page size equal to the Labeled Graphic image size – 690×470 pixels. PowerPoint’s Page Setup uses inches, not pixel. Some conversion would be necessary. I found a free pixel to inches converter, input the Labeled Graphic dimensions and came up with 9.58” x 6.53”. 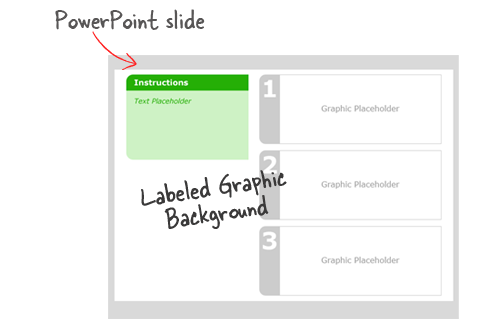 Now I could create a new PowerPoint file, open the Page Setup preferences and customize the slide size. 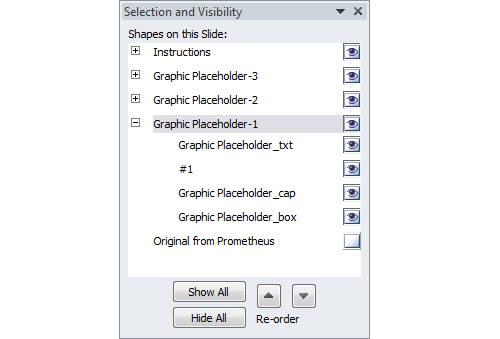 Looking at the Prometheus template, I was hoping I’d have to work with PowerPoint’s new shape combining tools to recreate their shapes. As it turned out, everything I needed was already in PowerPoint. Since the shapes were created in PowerPoint, everything’s editable. If you open the Selection Pane, you’ll see the objects are grouped and named to make things easier. I also included Prometheus’s original image on the bottom layer for reference. Also included is a custom color theme based on the original colors. This means you can apply any of PowerPoint’s custom color themes to quickly update the template’s colors. Looking for more Labeled Graphic inspiration? Check out Jeanette’s 3 Creative Ways to Use Engage Labeled Graphics. You can use this to hide the engage title bar and navigation too.